Alliance University has partnered with top level recruiting solutions across a wide range of industries with a unique approach and a focused team. Alliance School of Business which is one of the oldest professional schools is ranked consistently among the top 10 private business schools in the country by various agencies. 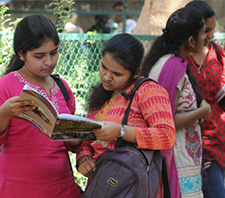 Alliance University Bangalore has already established Alliance School of Law, Alliance College of Engineering and Design, Alliance Ascent College. University is in the process of establishing many prominent academic units like Alliance College of Arts & Humanities, Alliance College of Medicine and Dentistry, Alliance College of Science, Alliance School of Health Sciences, Alliance College of Human Services & Education, & Alliance College of Media and Communications. Students coming for Alliance University Bangalore nri quota admission and Alliance School of Business (ASB) Bangalore nri quota admission from outside nation help in making the university a global one. The lecture halls and classrooms at Alliance University (AU) Bangalore are very well equipped with modern teaching equipments computers with Wi-Fi connectivity and like multimedia projectors. The center for Industry Interaction provides a bridge between the corporate world and the academics through the interactive sessions that are organized at Alliance University. Practitioners from diverse industry backgrounds transfer their management lessons and insights with interactive sessions with students. My experience with Alliance University Bangalore has been a positive one. The faculty here are with high levels of confidence, experience and enthusiasm. I am extremely satisfied with what the institution has given me and definitely like to increase my engagement with the organization in the future..
Alliance University Bangalore has global class infrastructure with teaching faculty and a highly active placement cell. This organization has changed my thought process along with also has made me a true professional citizen. Here you can fulfill academic and career opportunities. Alliance University Bangalore established in Karnataka State of India in the year 2010 is a private organization (university). This is recognized by the UGC (University Grants Commission), New Delhi. Firstly it was Alliance Business School and is located in Chandapura Anekal main road, Bangalore.